Jared Leto takes donations during the One Voice: Somos Live! A Concert For Disaster Relief on Saturday night (October 14) at the Universal Studios in Los Angeles. 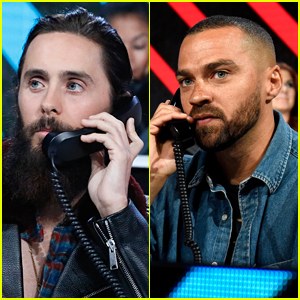 The 45-year-old Oscar-winning actor answered phone calls for donations alongside Justin Hartley, Jesse Williams, Gabriel Mann, Wilmer Valderrama, Jimmy Smits, and Edgar Ramirez. During the telethon, Stevie Wonder and Ricky Martin hit the stage for a few performances. The event was hosted in LA by Jennifer Lopez and boyfriend Alex Rodriguez as her ex-husband Marc Anthony hosted an event in Miami as they joined forces to raise money for the Puerto Rico hurricane disaster relief. Go to SomosOneVoice.com or call 1-800-593-9700 right now to donate. Marc Anthony & Girlfriend Mariana Downing Make Red Carpet Debut At Maestro Cares Fund Gala! Marc Anthony and his new girlfriend Mariana Downing have made it red carpet official! The 48-year-old singer and the 21-year-old model were all smiles as they stepped out together at the 2017 Maestro Cares Foundation’s Changing Lives and Building Dreams Gala held at Cipriani Wall Street on Tuesday (March 21) in New York City. Marc was honored at the event, and also hit the stage for a special performance. Selenis Leyva and Jimmy Smits were also in attendance at the fundraiser, which strives to improve the quality of life for Latin America’s most impoverished youth. Last December, Marc and his ex-wife Shannon de Lima officially announced that they filed for divorce. Corey Hawkins is opening up about bringing 24 back without Kiefer Sutherland as the beloved franchise star Jack Bauer in 24: Legacy. “All I have to do is walk in Eric Carter’s shoes – I don’t have to step up and be Jack Bauer. There’s no pressure to do that,” the 28-year-old actor expressed at the premiere of 24: Legacy on Monday (January 30) at New York’s Spring Studios (via THR). At the premiere, Corey was joined by his co-stars Miranda Otto, Anna Diop, Ashley Thomas, Jimmy Smits, Sheila Vand, Charlie Hofheimer and Raphael Acloque. '24: Legacy' Star Corey Hawkins Opens Up About Rebooting Franchise With A Black Hero! 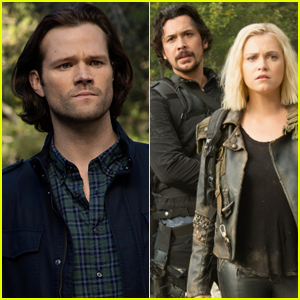 Fox is bringing 24 back without Kiefer Sutherland as the franchise star Jack Bauer, instead, 24: Legacy revolves around Corey Hawkins as Eric Carter – a young veteran of the War in Afghanistan who finds himself the target of a terrorist group. 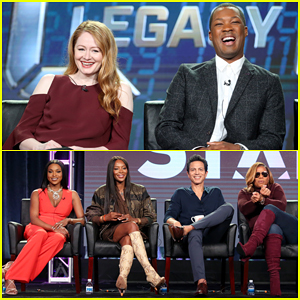 Wile speaking at the 24: Legacy panel during the FOX portion of the 2017 Winter TCA Press Tour held at Langham Hotel on Wednesday (January 11) in Pasadena, the 28-year-old actor opened up about the cultural significance of his casting. Corey was joined at the panel by his co-stars Miranda Otto, Ashley Thomas, Anna Diop, Jimmy Smits, and co-creators Evan Katz and Manny Coto – Watch the new trailer below! Also promoting shows that afternoon and at the FOX TCA All-Star Party: Star cast Queen Latifah, Amiyah Scott, Naomi Campbell, Benjamin Bratt, and creator Lee Daniels. Shots Fired stars Helen Hunt, Conor Leslie, Stephen Moyer, Mack Wilds, DeWanda Wise, Jill Hennessy, Aisha Hinds, Richard Dreyfuss, Stephan James, and Sanaa Lathan, The Mick‘s Kaitlin Olson, New Girl‘s Jake Johnson and Hannah Simone, and Lethal Weapon‘s Clayne Crawford and Damon Wayans. FYI: Corey is wearing an AllSaints shirt. Corey Hawkins & '24: Legacy' Cast Debut First Episode At Paley NYC Screening - Watch New Trailer! The premiere of 24: Legacy can’t come soon enough! Corey Hawkins and his co-stars Miranda Otto, Dan Bucatinsky, Coral Pena, Anna Diop and Jimmy Smits screened the first episode of the upcoming franchise reboot on Monday (December 19) at The Paley Center for Media in New York City, followed by a Q&A session with series co-creator and executive producer Evan Katz. 24: Legacy will premiere after the Super Bowl in February and it follows Army Ranger Eric Carter (Hawkins) as he is put into a federal protection program with his wife after a successful mission overseas with CTU, the counterintelligence unit of the original 24 series – Watch the brand new trailer below! Jaden Smith poses with The Get Down stars while at the show’s premiere at the Lehman Center for the Performing Arts on Thursday night (August 11) in New York City. 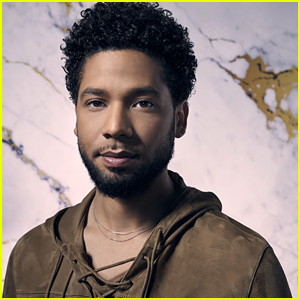 The 19-year-old actor was joined at the event by his co-stars Justice Smith, Shameik Moore, Skylan Brooks, Tremaine Brown Jr., Herizen F. Guardiola, Yahya Abdul-Mateen II, Jimmy Smits, Giancarlo Esposito, Mamoudou Athie, Zabryna Guevara and Daveed Diggs as well as director Baz Luhrmann. Jaden recently opened up about how he got into hip-hop, saying, “I liked hip-hop before I saw You Got Served, but You Got Served is what got me into the culture of the dancing and the B-Boy steez of everything,” he told BET.